Changing your home’s exterior – even on a low budget – can improve its looks as well as its value. 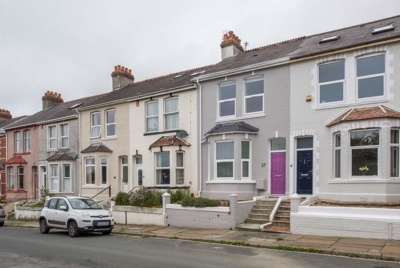 From the tired post-war, red-brick properties with their PVCu fascias and single-glazed units to the pastiche developer homes of the noughties, and even period buildings which have been unsympathetically extended – much of the UK’s housing stock is ripe for an update. As far as projects go, external makeovers are perhaps the least disruptive, and you can generally carry on with life as normal for the most part. Here are some ideas for what you can do to give your home’s exterior a new lease of life. It’s typically the exterior materials that tend to let houses built between the 1930s and 1980s down, and the windows will usually be very dated and in need of an update. 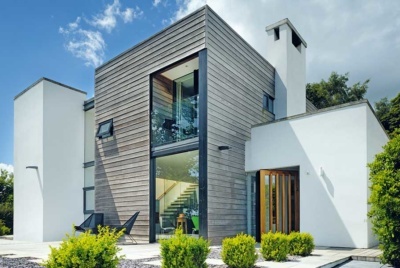 When it comes to combining materials, there are those that naturally sit well together and there are combinations which are best avoided, both for aesthetic and practical reasons — placing cedar above zinc for instance, as tannins in the timber can rot the zinc. Similarly, clashing colours such as a red brick with the blues of zinc or slate can look jarring. What’s more, when it comes to changes to the external façade of the building, homeowners often approach the front and the rear with different attitudes. Creating kerb appeal and ensuring the house fits within the streetscape will be priorities for the front elevation, while the rear will be all about the connection between the interior spaces and the garden. “Pairing two types of timber which are not dissimilar in colour can look odd, and if you’re using two types of timber it’s best to provide a distinct contrast such as birch and ebony, for example. There’s a growing trend in making more of the front door and creating a greater sense of arrival. You’ll often find that older houses will have been subject to a number of extensions over the years and this can shift the balance of the property — the front door might no longer be centred, windows placement might be unsymmetrical and even the roofline might be jagged. Adding a bolt-on addition, like a porch, to emphasise the entrance is also a popular way of pin-pointing the front door. Always double check with your local authority whether your proposed works can be done under permitted development or whether you need planning permission. If you’re planning to reclad your house then this can be an ideal opportunity to add insulation. If you do intend to add external insulation, the task will need proper planning, and you will need to ensure the appropriate membranes, vapour barriers and ventilation gaps are factored in to prevent condensation. Adding external insulation can change where the dew point (where moisture condenses) occurs. Every cladding system will be different and so you’ll need to engage with your supplier who’ll advise on the appropriate steps to take. 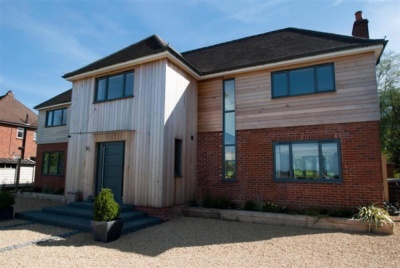 For many, if you’re intending to give your exterior a facelift, the chances are you’ll be looking to replace the windows too — either on a like-for-like basis if you’re after a period-style look, or perhaps you’re trading in single-glazed or PVCu windows for contemporary powder-coated aluminium frames. If you’re replacing windows, you can typically expect three windows to be fitted per day. With the roof, however, the decision on whether to replace the roof covering will depend on aesthetics, budget — and more importantly, the condition of the existing roof. If your roof is in a poor state of repair and at the end of its life, replacing the roof structure and/or adding a new roof covering will, of course, look more attractive and might well be essential. 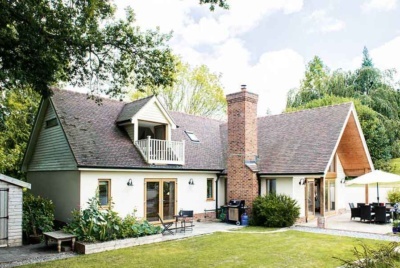 The downside is the price, given that the cost of adding a new roof can be between £20,000-£30,000 — that’s the difference between including a new high-end kitchen or even adding a small extension. 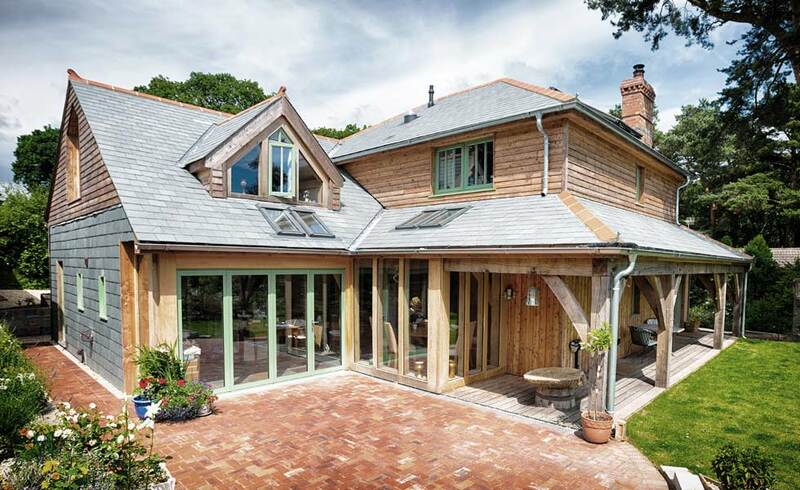 “Cast iron has an average lifespan of 50 years, PVCu 30 years, aluminium 40 years, zinc 50 years, and timber, depending on the species, will last on average for 40 years providing the timber has been maintained correctly.